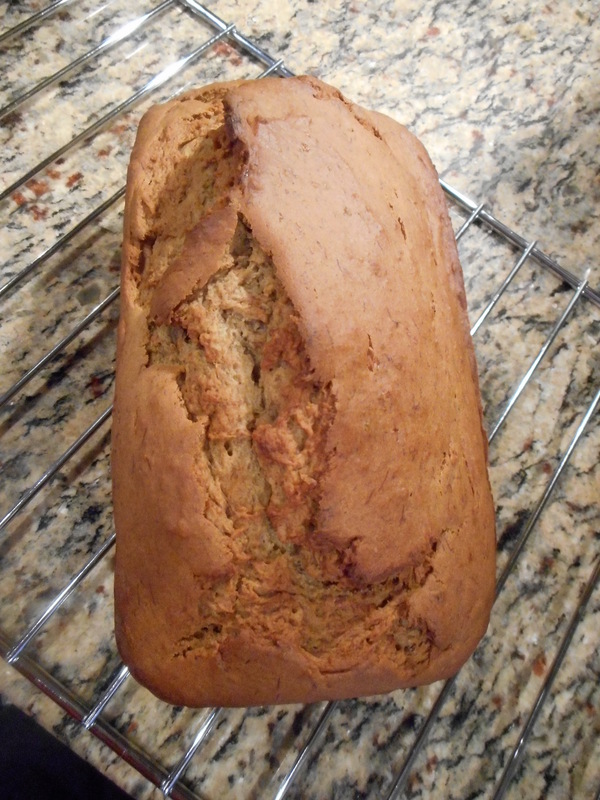 My first venture into low-fat banana bread started with this Low-Fat Oatmeal Banana Bread from Joy the Baker. 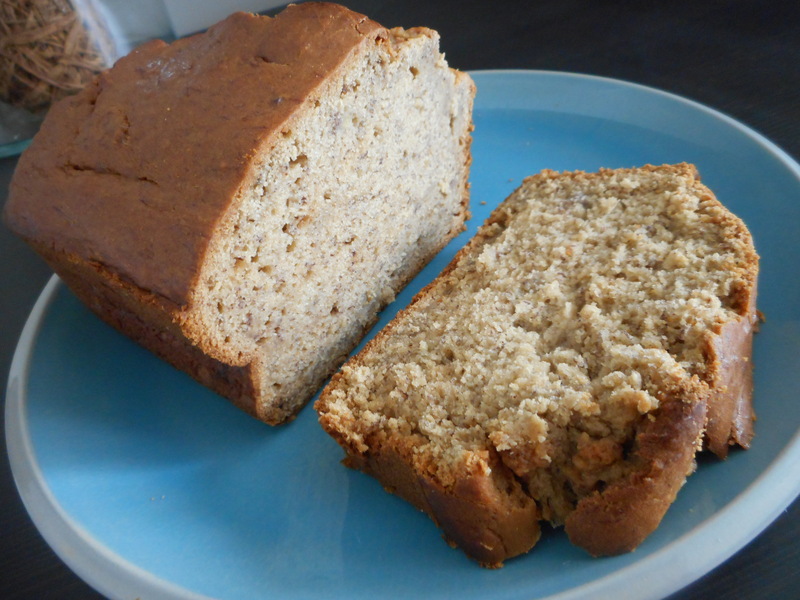 I was looking for nothing more than good banana bread, period, and this seemed to fit the bill, low-fat or not. With egg whites, a cup of oats, and just a tablespoon of oil, it’s certainly healthier than the usual fare, but you can’t tell. All that comes through is the sweet banana flavor and the cinnamon spice. 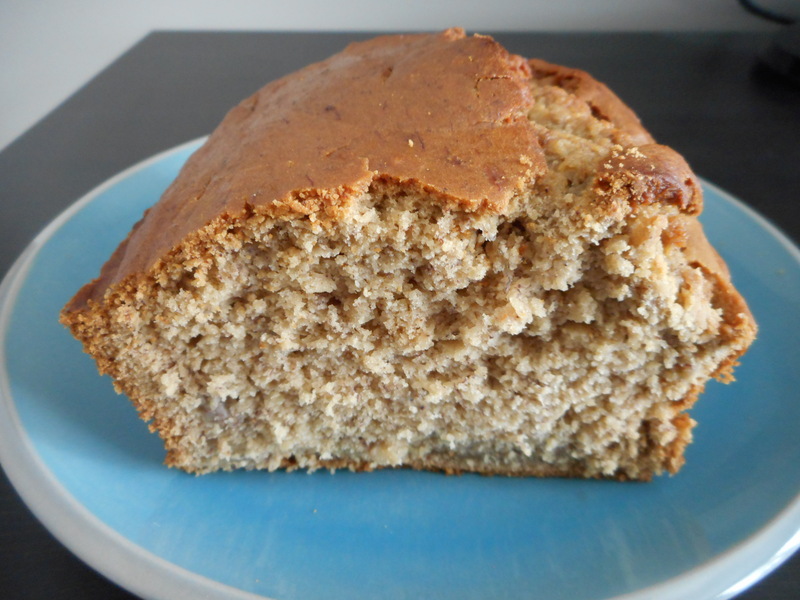 From then on I decided banana bread should always be this way and began using this recipe exclusively. I highly recommend it and I’d have used it this time if circumstance hadn’t sent me in another direction. A couple of weeks ago, less than a month into my new life on the east coast, I felt like baking banana bread. But I’m working with a new pantry now, and this one doesn’t have oats. It’s a sad thing, to leave your pantry behind. I spent years carefully cultivating my perfect baker’s pantry. From almond extract to matcha to treacle syrup to meringue powder, my little cabinet of baking goods became a varied cast of characters. Some items I bought for one recipe and then they made their home from there; other ingredients have come to be my steady regulars. But it didn’t make sense to ship these across the country along with the rest of my belongings, especially with some of these ingredients in glass containers, so I left them behind. I’m slowly building my pantry back up, but when I made this banana bread, I had to go with a recipe that involved ingredients I did have. 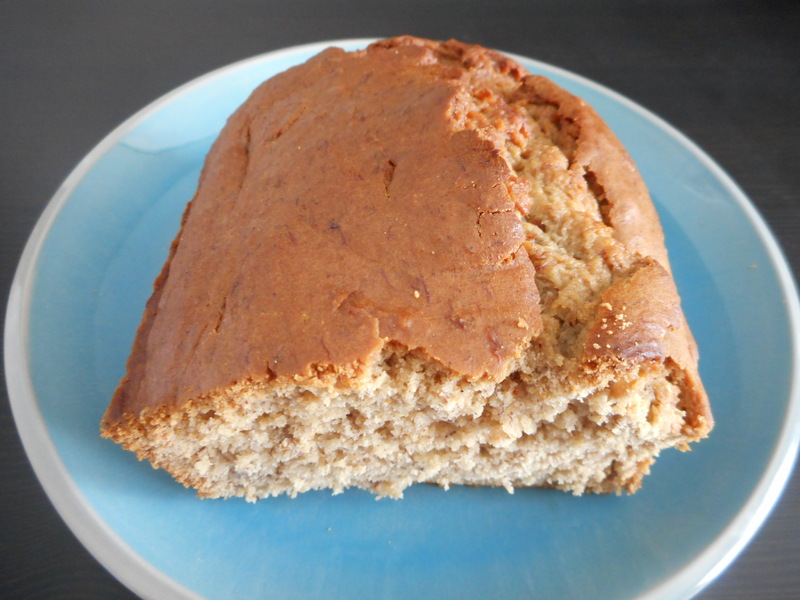 I took a chance on another healthy recipe, this banana bread from Cooking Light, and it worked out quite well. It’s not as low-fat as Joy’s recipe–it’s got half a stick of butter and two eggs, yolks and all–but I like that it’s on the lighter side. This bread is soft and moist on the inside, with a slight crunch on the top. The banana flavor comes through wonderfully. My changes to the recipe were to halve the sugar (and substitute brown sugar for the white to impart more flavor) and to add cinnamon for a warmer, spicier flavor. The recipe says to bake the bread for one hour, but mine took an extra 22 minutes before the toothpick came out clean. If your toothpick isn’t clean yet, it’s fine to keeping baking until it is. 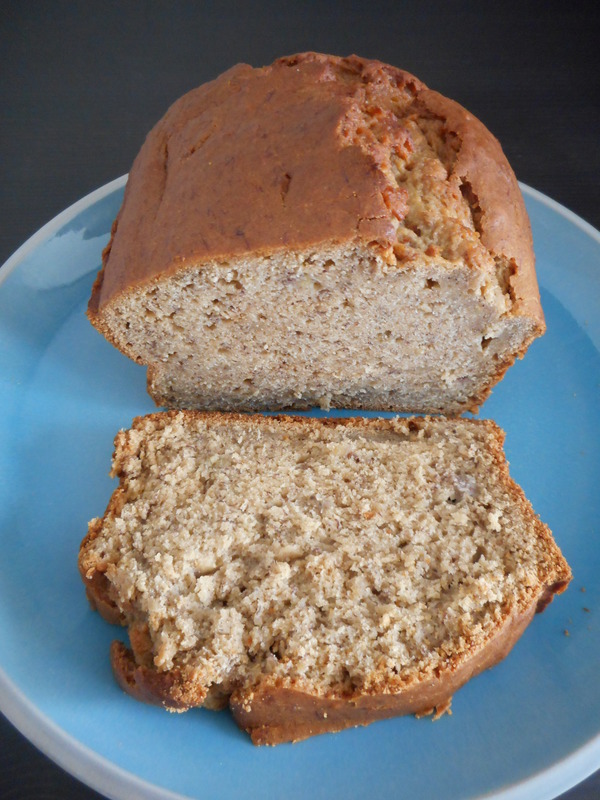 Banana bread has a lot of moisture to bake out; taking it out when the toothpick is crumb-y hasn’t worked well for me in the past–once the loaf sank down on itself so that its middle was underbaked and gummy. When in doubt, let it bake for longer. Mine was plenty moist, 22 extra minutes and all. The recipe says that “banana bread should form a crack down the center as it bakes–a sign the baking soda is doing its job.” If that’s the case, my baking soda certainly went above and beyond. The center of my bread is quite, uh, cracked. But it tastes good, even if it does look a little funny. And that’s what matters. Preheat the oven to 350 degrees. Grease a loaf pan and set it aside. Combine the flour, baking soda, salt, and cinnamon in a medium bowl. In a large bowl, cream together the butter and sugar. Beat in the eggs, one at a time. Stir in the banana, yogurt, and vanilla. Add the flour mixture and stir until just combined. Pour batter into the loaf pan. Bake for 60-80 minutes or until a toothpick inserted into the center comes out clean. Set the loaf pan on a wire rack and let cool for 10 minutes. Run a butter knife along the edges of the loaf pan and flip the loaf out onto the wire rack. Let cool for another 10 minutes before serving.